A budget can be a challenge for new and small business owners. It is the critical part of any business, whether small or large. In the budget, plans on how much will be spent on each business operation, when to spend, and when to save are all laid out meticulously. New small business owners often make a few crucial mistakes while budgeting due to lack of experience. These mistakes can be avoided by research and taking advice. Most importantly, when there is a budgeting mistake, it must be properly corrected. It is important to identify all expenses, whether small or large, and insert them into the budget. If you fail to make an actual estimate of all expenses, you may be left with no money at the end of the month to pay for debts and other expenses. New small business owners often don’t have past experience with precise budgeting and running a business. They often make the budget without a strategy and solid business plan. Small and long-term financial plans are the crucial part of a budget. Frequently, new small business owners are just so excited to jump into their start-up without a detailed business plan and goals. If you want success, you must plan for it. Once a new small business owner enters the market, they are often enticed to sell their product or service at a price less than that of their competitors. This strategy is adopted to attract customers and it makes sense. But in theory, you are losing your money. Remember, Less is the profit margin, more is the loss. To compensate this loss, sometimes they decrease the operating expenses for producing the low quality product. But, remember, that the customer is not likely to purchase it if it is of poor quality. Again, you are in loss. Under-pricing cannot be a solution to enhance sales. The initial few years of start-ups are very crucial for business success. The mistake often seen is that new small business owners start spending excessively as soon as revenues start receiving. The most common budgeting mistake is that they overspend on advertising. A common assumption about advertising is that it will immediately enhance sales. In fact, at least a quarter is needed to see the impact of advertising on sales. Overestimation of revenue leads to a glaring budget deficit. When we are not tracking our expenditures by bookkeeping or any accounting software, our budget is not healthy. When we do not identify what we have spent, we cannot make out when we have reached our limit. Once we track our spending, we can actually start following our budget as planned. Every business has to pay a heavy amount to the government in the form of taxes. There’s no getting around that one. If you underestimate the amount of taxes you are liable to pay, it will affect drastically affect your budget. When making your budget, sit with your last year’s bookkeeping record to know the details of all transactions. Your bookkeeper will tell you the exact amount of taxes you paid last year. Keeping this data in mine, estimate the exact amount of taxes you will owe for this year. Many business owners often underestimate taxes which leads to budget failure. Overestimation of taxes is much better than underestimation. A small business owner has a busy schedule, no doubt. They have a long list of things they need to accomplish each day. Unfortunately, many fail to manage and organize their business cycle at an optimum level. This disorganization can lead to extra expenses and less profit margin. Your cash flow is an indicator of a healthy business. If your cash flow is poor and you have many pending payments, then it should be taken into consideration. Poor cash flow indicates that money coming in the form of payments and profits is less than the amount of money going out. Money going out is in the form of items such as operating costs, marketing, and advertising campaigns. Budgeting mistakes can be avoided by following the above-mentioned plans. 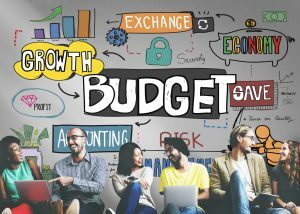 A proper budget is a key to business success and the key to a solid budget is proper planning.